There are many sectors where Lookout Call can be an important tool for keeping lone workers safe, but we are never more proud than when we are able to support people who are out there working hard to make the world a better place. We work with charities that help to protect the homeless. These charities offer their dedication, kindness and support to some of the most vulnerable people in our society. Lookout Call is honoured to call them our customers. So we thought we’d introduce you to them and talk a little bit about what they do. Cambridge Cyrenians have been working to support the homeless in Cambridge for over 45 years. They now have short and long term accommodation available for those in need. The accommodation is in the form of small houses, staffed by one or two volunteers, as the charity believes in homes – not hostels. They offer support to their residents to rehabilitate in every area of their lives that is necessary to their ultimate fulfilment. Cambridge Cyrenians change lives and their incredible work is only possible because of compassionate souls offering their time as volunteers or by offering donations of useful items and money. If you’d like to offer your support to Cambridge Cyrenians, please contact them today. Jimmy’s first opened their doors in 1995 and named their charity in memory of Jim Dilley, who was a known rough sleeper spending many a night under a bridge near Junction 13 of the M11. Jimmy’s founders knew Jim well. He was their inspiration. They made it their mission to stop people from suffering the way that Jim did. These days, the hard work, dedication and passion from every Jimmy’s volunteer has seen the organization grow to provide a large, four storey 24-hour service that has 20 single en-suite rooms and amazing facilities for day time support activities. They also offer outreach support. Jimmy’s help their residents achieve long term positive outcomes. If you feel compelled to support Jimmy’s in their incredible endeavours visit their website and see how you could help. 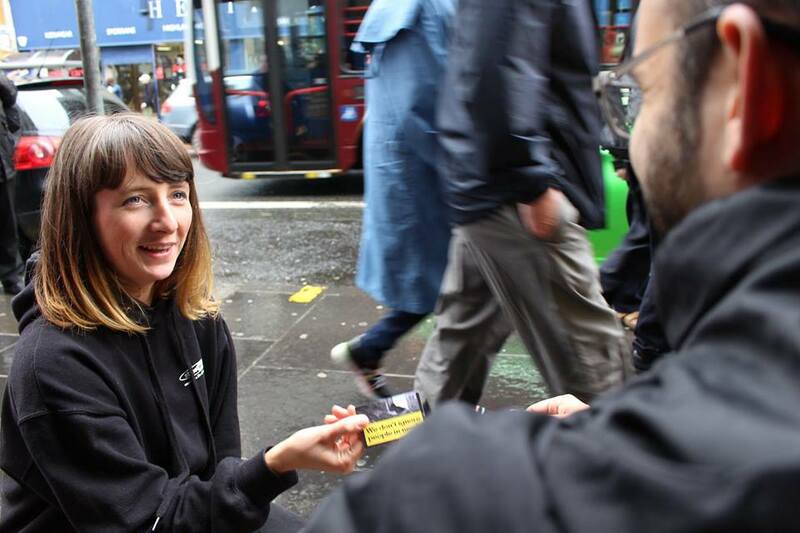 Based in Edinburgh, Streetwork’s outreach workers take to the streets every single day to reach out to the homeless precisely where they are. It can be difficult for homeless people to access support services, so Streetwork go to them and talk to them about all the ways they can help. They also offer a drop in service at their Holyrood Hub, where homeless people can access facilities such as showers, computers and phones, laundry and storage for belongings. They are also able to use the Holyrood Hub as a correspondence address, which is a huge factor in them being able to seek employment. The Holyrood Hub is open every day, staff offer individual support, run life improving workshops and they also have drop in’s from GP’s, nurses and vets. If you’d like to donate to, fundraise for, work with or volunteer for Streetwork, they’d love to hear from you. If you are an organisation offering support to the homeless and would like to get in touch with Lookout Call to discuss how we can help you offer your staff and volunteers the safety and security that they so deserve, then we’d love to offer our services.